Celebrating the Year of the Dragon, the birth dates for people ruled by this Chinese Lunar sign include 1916, 1928, 1940, 1952, 1964, 1976, 1988, 2000 and 2012. Those born under the influence of this sign are said to be confident, enterprising, independent, self-assured, brave, and passionate. 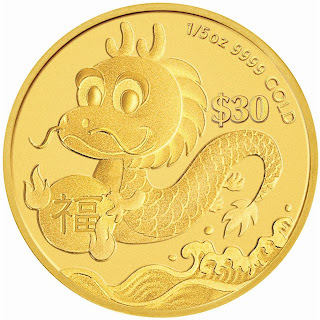 Celebrating the 2012 Year of the Dragon, this coin is struck by The Perth Mint from 1/5oz of 99.99% pure gold in proof quality. The reverse design depicts a dragon holding a pearl marked with the Chinese character for prosperity – Fu. Issued as legal tender under the authority of the Government of Tuvalu, the obverse of the coin bears the Ian Rank-Broadley effigy of Her Majesty Queen Elizabeth II and the 2012 year-date. No more than 2,000 of these coins will be released individually. Each coin is housed in a presentation case featuring a timber lid and a stylised shipper accompanied by a numbered Certificate of Authenticity. 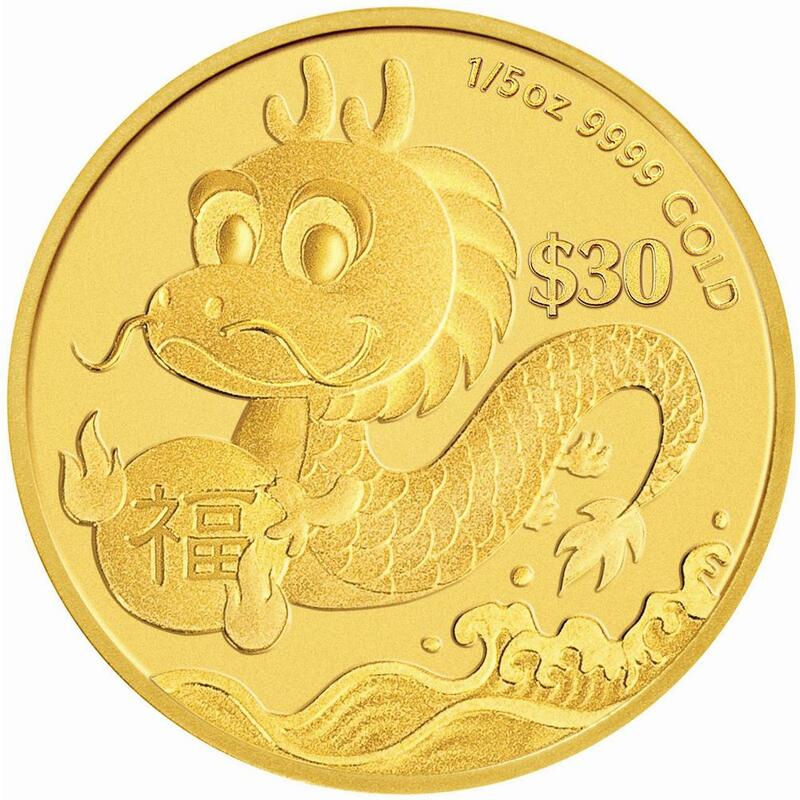 wao DRAGON GOLD COIN 'PROSPERITY' Perth Mint Australia Gold coins are amazing.